Situated in picturesque Upper Nidderdale, Studfold provides the ideal base for you to explore the best Yorkshire has to offer. 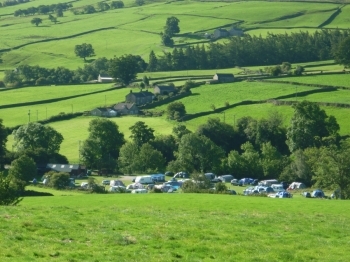 Winner of the 'Welcome To Yorkshire White Rose Award' for the Caravan, Glamping and Camping Park. Studfold is perfect for young families to discover the 'Great Outdoors' on the Studfold Adventure Trail. Read our reviews! There Is nowt quite like it! Situated in picturesque Upper Nidderdale, Studfold provides the ideal base for you to explore the best Yorkshire has to offer. Winner of the 'Welcome To Yorkshire White Rose Award' for the Caravan, Glamping and Camping Park. Studfold is perfect for young families to discover the 'Great Outdoors' on the Studfold Adventure Trail. Read our reviews! There Is nowt quite like it!